Ermmmmm....right now just thinking about one thing, want to buy it or not??? A good racket produce a good player or a good player produce a good racket. Actually for me, if I invest some money into something so I want a return, the same thing go to my favorite, squash game. I want to buy Prince O3 Speedport Black but I don't know whether it is a good investment or not. For me, when the this game I fall in love with it. I like to be busy always so after "turn takhta" as "MPP" or Student Representative Council, it really give me a big impact when I feel really bored of my free times so maybe now my free time can be filled with this new hobby. 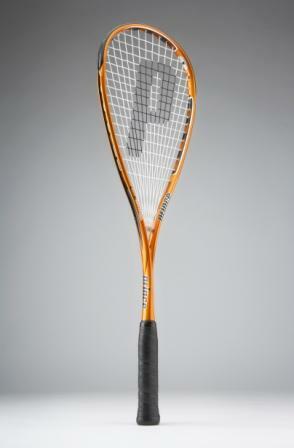 Prince O3 Speedport Black is a racket that used by No 1 woman squash player, Nicol Ann David. But a few things keep playing in my mind, I like red colour but the racket is black, and don't like the design....cam x lawa jek....huhu. Maybe, maybe,k.....I want to buy a red one coz suitable with my red tshirt, shoes and socks...haha, whatever it is I hope to see you in court....Mamorth...haha. Until next post..see ya..salam..
lol! It's definitely the player and not the racquet. Chanced on your blog by chance. Salam.